Les Parson has been a popular British Artist with a loyal following for nearly forty years. Despite having a personal interest in art, Parson never received any formal training. After encouragement from local gallery owners in 1978, Parson became a flourishing professional artist. 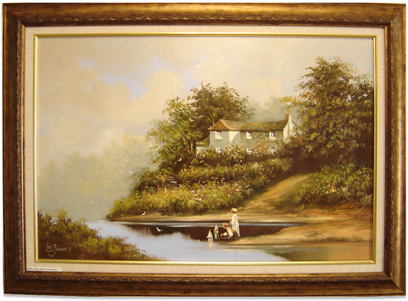 Les Parson has become renowned for his nostalgic paintings of rural landscapes featuring children at play. His work is internationally recognised, with many of his paintings published as prints. The paintings of Les Parson remain highly-sought after by both domestic and international collectors. Read the full Les Parson biography.